There are still some places left in Susan Midalia’s short story workshop on Friday 3 November from 2pm – 5pm. We are thrilled to have Perth’s Susan Midalia as a very special guest of the 2017 Australian Short Story Festival. 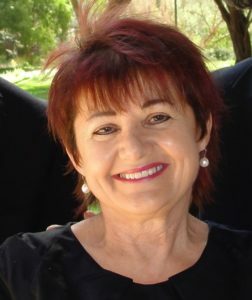 She is a much loved and highly regarded member of the Western Australian literary community, having judged several literary awards, including the Western Australian Premiers Book Award, the T.A.G. Hungerford Award, the Margaret River Press Short Story Competition and the Katharine Susannah Prichard Award. She has edited fiction by highly respected writers, including Gail Jones, Kathleen Fallon and Marcella Polain. 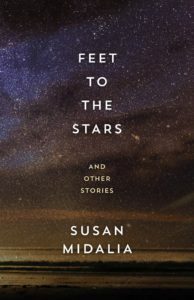 Her own short fiction, including her most recent collection, Feet to the Stars, has been highly acclaimed. Susan has a PhD in contemporary Australian fiction and is a talented teacher of creative writing. Her workshop participants universally give her glowing reviews and we are certain that you will too! In this workshop, Susan will use a range of writing exercises and examples from published writers to equip you with the strategies to create memorable, layered stories. For more information, please check out the programme, and to book tickets, click here.